Stephen Kenny's preparations for his first game in charge of the Ireland Under 21s have suffered a setback with the withdrawal of Troy Parrott due to injury. The Tottenham Hotspur striker was the only withdrawal in the squad ahead of Sunday's qualifier against Luxermbourg after the Under-21 squad reported for duty today. 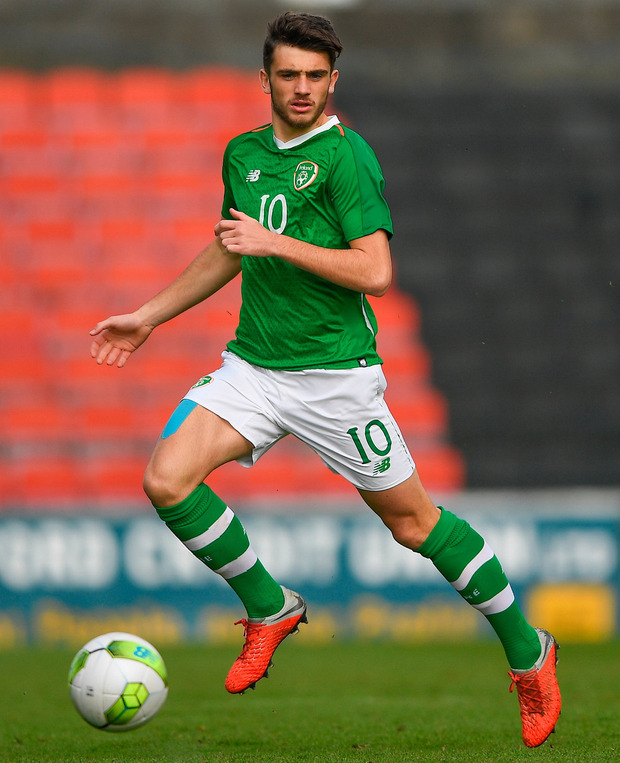 The news is also a blow to those Irish fans hoping to see him feature at Tallaght Stadium on Sunday after watching his progress since signing for Spurs last summer. The 17-year-old has been in sparkling form for the Tottenham under-age sides and has already been issued with a first team squad number, having travelled with the matchday squad on a number of occasions. He was also crowned as the Republic of Ireland Under-16 Player of the Year at Sunday's Three FAI International Awards. Goals against Inter Milan and Barcelona in the UEFA Youth League raised his profile during the season and the former Belvedere schoolboy has been talked up by Spurs boss Mauricio Pochettino as a first team possibility. Asked about possible replacements for Harry Kane following an injury earlier this season, Pochettino said: "You can play Llorente, you can play Dele Alli, you can play Lamela, you can play Kaziah Sterling, Troy Parrott."